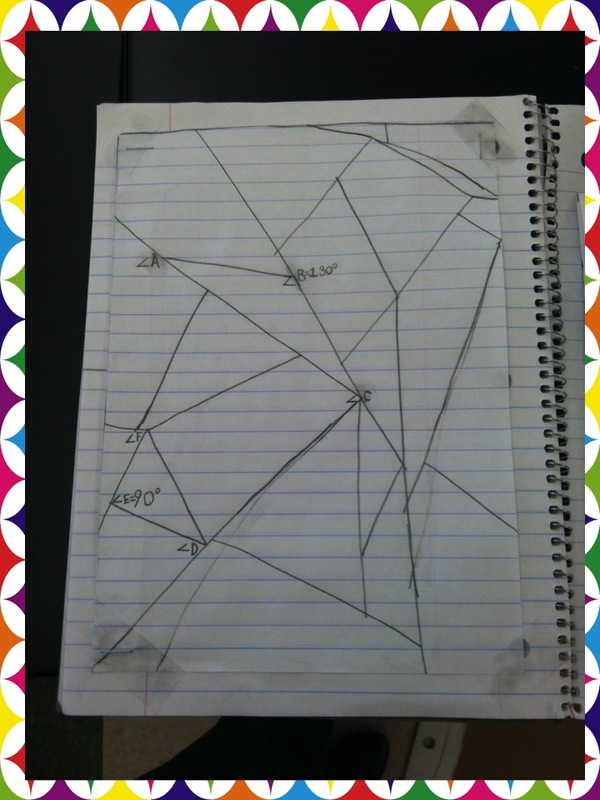 Teaching With a Mountain View: Angles, Angles, Angles! 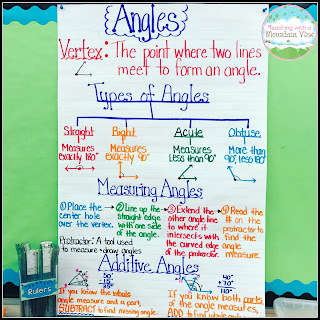 We finished up angles the other day, and I thought I would share the anchor chart we used and a couple of activities we did. This particular group is a group of 4th grade Talented and Gifted kids, so we did a quick, quick review! I used my Interactive Math Journal resource from the brilliant and wonderful Runde's Room! Seriously, the Math Journal is one of the best purchases I've ever made on TpT! The kids made her foldable while I made the anchor chart. Added March 2017! 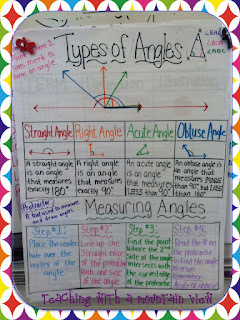 Here is our new anchor Types of Angles Anchor Chart! 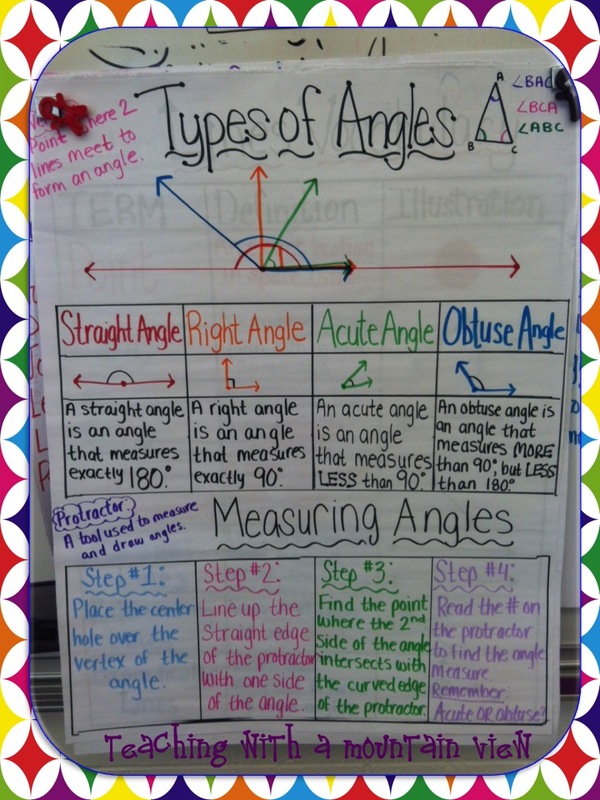 When we finished the foldable and review of the types of angles, we talked about measuring angles and made a little chart to describe the steps of measuring angles. 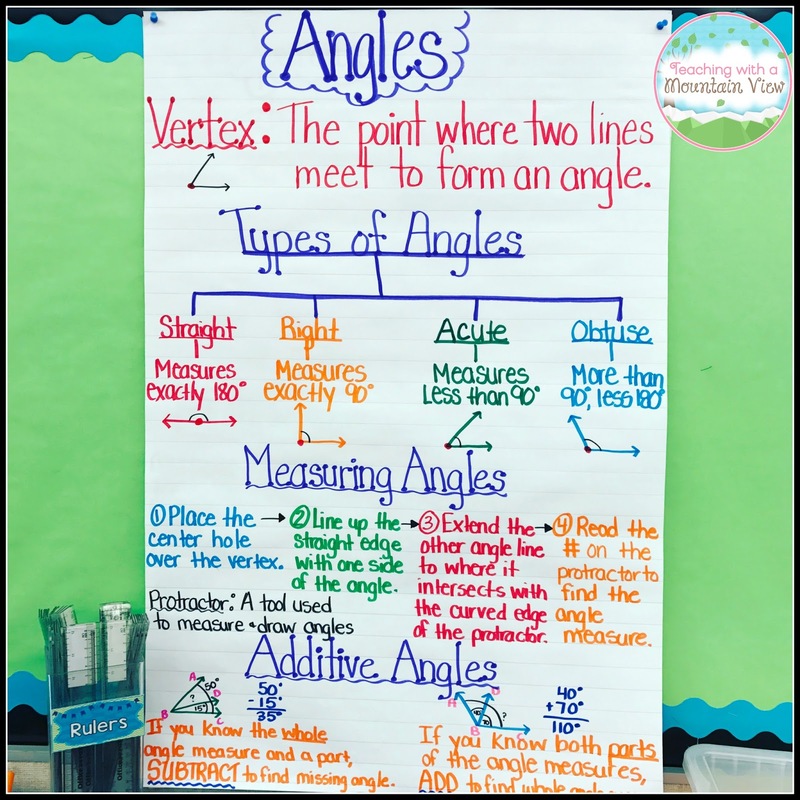 We talked about labeling angles as well (you can see our little labeled triangle up in the right hand corner of the anchor chart). 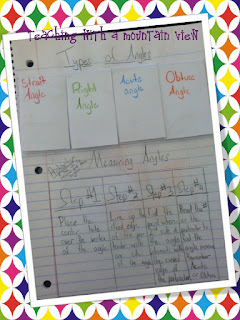 Then, the kids made a shape on the left side of their math journals and started labeling and measuring angles... It was a really neat way to have them "prove" their thinking without having to do a worksheet. 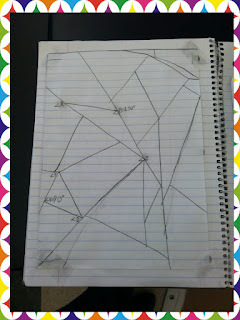 The students drew their own shapes then identified angles (and types of line) and practiced measuring angles. 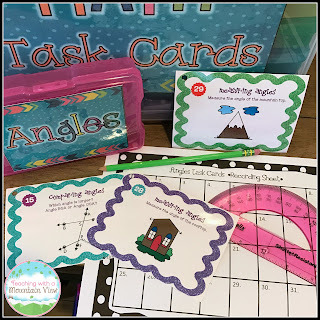 Finally, I created a set of angles task cards that they all worked on in rotations. I created the cards so that they fulfilled all of the angle standards and it worked GREAT for review and differentiation! I had three separate piles for them to work on so that they were all working on their appropriate level. 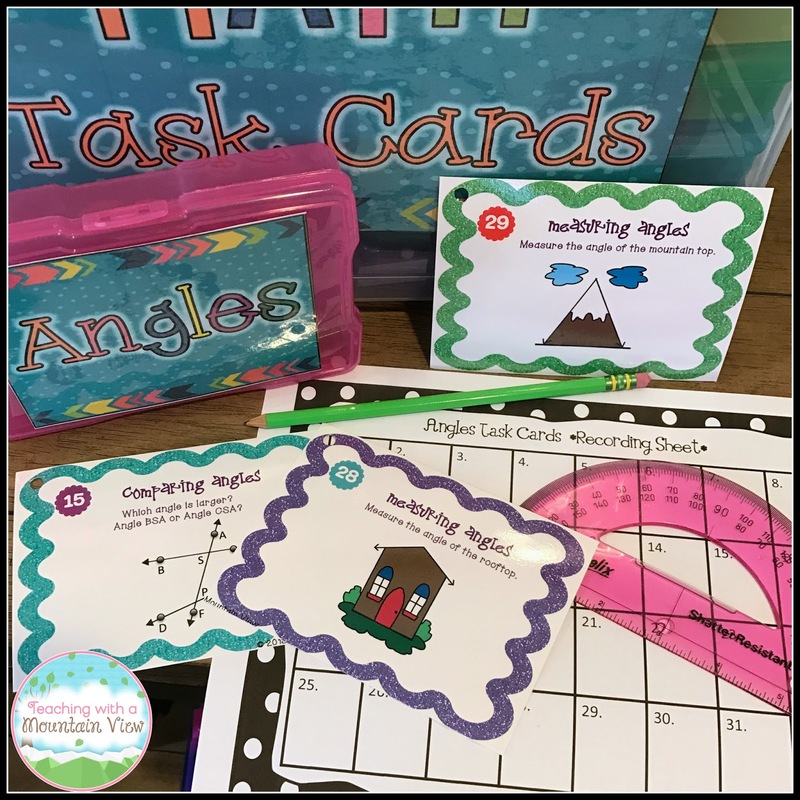 You can purchase the Angles Task Cards HERE! As a side note, the task card organization system you see above has totally SAVED me this year! 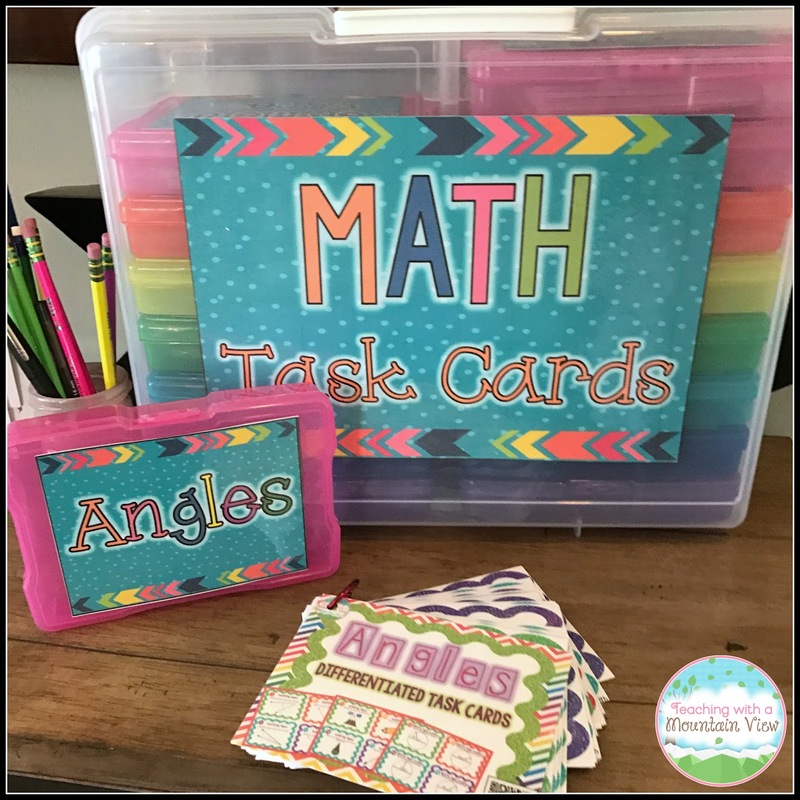 You can read more about how I'm organizing my task cards HERE.